European inhabitants have long since migrated to the American continent. English, Spanish, Portuguese send groups to live in America and form colonies. They want to find new territories to occupy and control. Where the colony was formed, they used to build fortresses to protect the newly formed society. But the fate of the British colony sent to Roanoke remains a question mark until now. 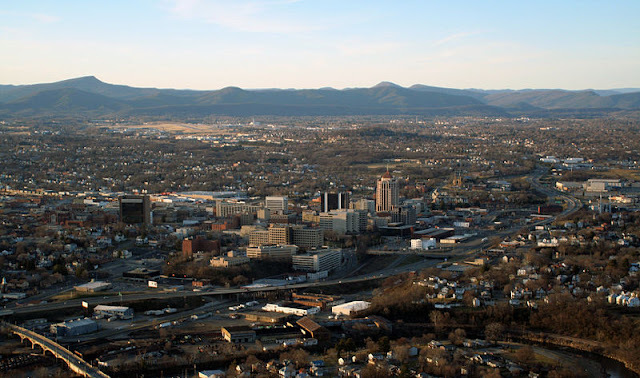 The trip to Roanoke, located in northern America, began on April 27, 1584. Sir Walter Raleigh received the mandate of Queen Elizabeth I to form a colony in the northern continent of America. Raleigh then sent Philip Amadas and Arthur Barlowe to lead an expedition to Roanoke Island. They arrived on July 4 and established relationships with local tribes. The first colony population was not fared either. They are short of food supplies and attacked by Indians. Raleigh sent a second expedition led by Sir Richard Grenville on April 9, 1585. In 1587 Raleigh again sent 100 men to occupy Roanoke under the command of John White. White returned to England to take additional supplies, but the war with Spain delayed his journey back to Roanoke. 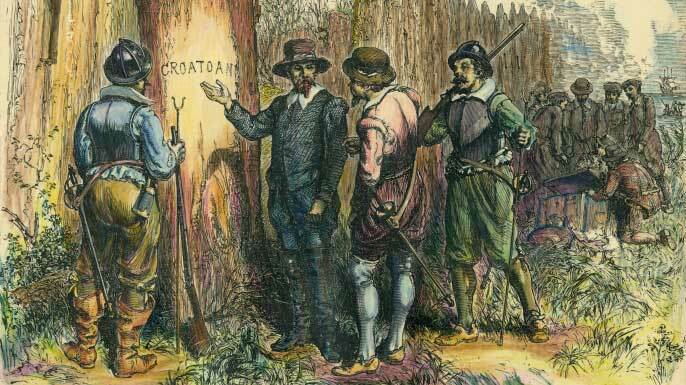 When White arrived in Roanoke in 1590, he searched for colonies he had lived for several years before. But about a hundred of the residents of the colonies he left behind vanished without a trace. His search did not work. There is no trace of violence. The only clue he found was a word carved on a wooden fence. It reads "CROATOAN". White interpreted the message. He thought the colonists moved to Croatoan, another 50-mile island. But when he got there, White did not find anyone. Quoted from History, archaeologists have received important information from plant data in Virginia. Between 1587 and 1589 there was a great flood that drowned the area. This situation is considered as one factor why the British Colonies in Roanoke disappear. But where the people go is still a mystery. It is possible that they were attacked and killed by a local tribe. Croatan is not only the name of the island, but also the name of one of the tribes that is there. Messages carved in wood could be a message that they were attacked by the Croatan tribe. But no trace of violence has occurred, and that fact weakens this theory. Alternatively, the inhabitants of the colony sought to sail back to England, but they were lost and lost. Or they could have passed and killed by the Spaniards who were sailing from their colonies in Florida. One theory says that the inhabitants of the colony mingled with an Indian tribe named Croatan, or another tribe in the interior of what is now called North Carolina. The last finding, alleged that the colony in Roanoke separated into two, and each joined with different local tribes. One is on Cape Creek or on the island of Croatoan. In 1998, archaeological teams from East Carolina University discovered artifacts in the form of gold rings thought to date from the 16th century. And just recently, a team from Bristol University found a piece commonly used for writing and part of a sword commonly used in England in the 16th century. These items were found along with other objects that allegedly belonged to Native American tribes. It is possible that the object is exchanged when buying and selling between colonies and local tribes. But some objects are thought to belong to the residents of the Roanoke colony, so it becomes evident that they have mingled with local tribes but still keep their belongings. Another part of the colony is thought to move into the interior. In one of the maps found, there are places marked with stars. Archaeologists have found many artifacts suspected belonging to colonists. Although much new evidence has been found, no one has definitively shown the true fate of the colonists in Roanoke.